It has been a while since we updated this blog. We have decided we wish to find a new service that is more interactive which is also less demanding with time. Formating articles and images takes far to long and it hinders responding to key events quickly. However Fox In Parliament has gone from strength to strength and along with our main organisation of Support the Hunting Act (BAN) UK you will be hearing plenty more of us this year. Expect to see a relaunch of our Fox in Parliament blog and to be an even bigger pain to the hunting lobby and David Cameron. In the meantime you can follow us on Twitter and Facebook, see links on the right hand side. We will add a note when this blog will close and give info on the new one. We do not have a date for that yet but we are building many teams this year in parliament and internaly for the lobby and a new blog team is firmly on the cards. To mark our progress and politics we are hosting a high profile conference to help answer the questions needed and to set the tone for Where Next for the Hunting Ban. From here we will firmly be rasing the game against cruelty and making it clear repeal of the hunting ban is not on and will not be supported by the wider nation. Thank you to all who have read these articles and left comments, this is not goodbye as we will be back and will be a much stronger voice on the web. If you would like to become a member of our campaign/political animal lobby then do get in touch, just send an e-mail to back.the-hunt-ban@inbox.com We are always looking for talented individuals to help the lobby and to help at events. So if your passion is stopping animal cruelty returning and you are a member or supporter of the Labour Party then contact us today. Support the Hunting Act (BAN) UK and Fox in Parliament is a new force in the animal world but with the twist that we are not just a campaign but a political animal lobby as well. Our goal is protecting our wildlife and in ensuring those who support the most are elected. Gary Hills / Campaign Director. 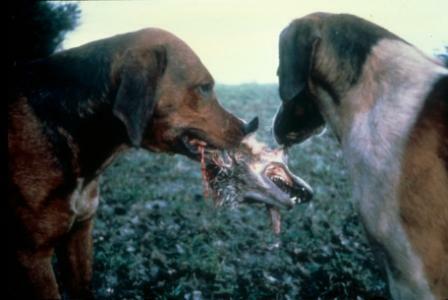 On the 29th June 2010 Ireland banned the cruelty that is stag hunting with dogs. This vital move paves the way forward for banning other blood sports such as fox-hunting and hare coursing. The article below was written just before the vote banning stag hunting took place. We feel it is still valid as it relates to why no blood sport is ever justified so we have not sort to amend the article to the latest news. Read his article and then our response. We feel we are more realistic then he could ever be. It is staggering to keep reading such weak excuses for animal cruelty? Mr Myers article from the Irish Independent is a prime example of how the press fail to see the reality. 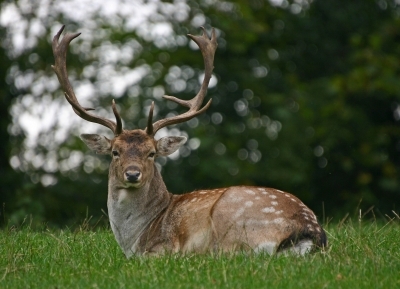 Stag hunts are manmade and have no effect on population numbers of stags at all. They are pointless in the extreme. Just like fox hunting they serve one purpose and one purpose only. They are there for the enjoyment of a tiny few. You can never compare nature to the stupidity of man. A wolf would indeed give chase to a stag and kill. Yet wolves did so to survive. Natures balance was already set when it came to deer’s by the existence of the wolf. It was man after all who wiped the wolf out of Ireland and the UK. The notion that a few stags killed by a stag hunt could make up for natures balance is stretching reality to the extreme. Ignorance seems rife amongst those that go stag hunting the endless excuses to justify charging around the countryside for miles after mile to terrify a stag. Serves only to show how out of touch with decent society they are. It is right that the Greens and the Irish Labour Party seek to ban the activity for good. In the wider context allowing stag hunting and any form of blood sport brings shame to any nation that allows such stupidity to continue. Banning stag hunting will not lead to an explosion in deer populations and deep down Mr Myers knows that. It will not also alter the situation with the planting of trees. Yet what is clear is as bit of thought about where trees are planted will destroy the notion that tens of thousands of deer need culling. Killing animals has seldom anything to do with acting as natures balance. Nature does not need a helping hand in the way it’s assumed. Just because farmers 200 years ago planted hedges and ploughed up the land does not mean nature is on a long term holiday. Given the chance nature would soon take back those fields and trees would once again start to flourish. It is man that causes the problems in how the countryside behaves. It may come as a shock for some people in the press to learn that there are no straight line is nature. Man has destroyed most of the natural habitat animals use to live in. Yet seem shocked when they seek refuge elsewhere. We are but one species out of many, the ability to talk clearly is still not linked to the ability to think. The countryside is a living breathing environment it is not just another tool for man. Too much weight is given to the need to raise money from the land instead of preserving it for our wildlife or future generations. A landowner may indeed own land but at what cost. Why should animals and people lose out just because a landowner wants to plough up yet another wood or meadow? If we really care for the countryside we have to remember why it’s there and its purpose in nature. It should never only be seen as a route to make money. The other notion that without blood sport nature cannot survive shows how little some men understand nature at all. Yet should we be surprised at the ignorance shown, well no for those that support blood sports are forever using such lame claims as a reason to kill. Animal cruelty is animal cruelty; you cannot dress it up and hide it amongst myths of need. allowed to questions a persons judgement. Well we disagree. Any person who takes parts in or actively supports blood sport lets society down regardless of who they are. In this example its mink hunting, Mr Charlton is so proud of his connection that he gives the commentary. When this video was taken is not known. Yet it might as well have been made yesterday. When people think of the hunting ban being repealed they think of fox hunting. Yet it’s not just the poor foxes that will suffer extreme animal cruelty if the ban is lifted. Hare coursing, stag hunting and mink hunting will all return if Cameron gets his way. Nobody has a right to kill animals for fun, not PMs and no ex football stars. David Cameron has already appointed a Minister for Hunting and Shooting. That’s your money paying for an MP to ensure the hunting lobby feel appreciated? You can forget decency with David Cameron as he simply does not care. 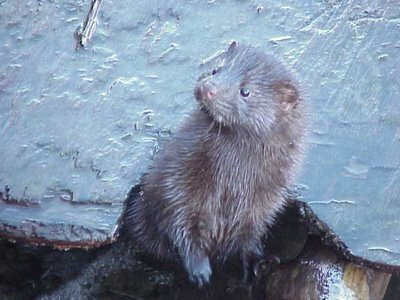 What has the Mink ever done to man, except want to survive. common sense now seeks to kill our Badgers. Despite all the evidence that any culling of Badgers is utterly pointless in the control of TB, it seems far to many people are unwilling to listen to reality. Those in the Welsh Assembly who have ordered the recent cull should hang their heads in shame. This is not science based reasoning, this is pure ignorance to panda to the farming lobby. The concept of TB in cattle has been around for decades, yet no cull of Badgers has done anything to stop the spread of TB in cattle. If culls of the past proved this, why on earth are they trying to insist on failed reasoning. There has to be some grown up thinking to this issue and not the knee jerk prejudice that exist. DEFRA under Labours Hilary Benn concluded that a Badger cull was not in the interest of animal welfare or of any measure to solve the issue. One can only hope that the Tories Caroline Spellman who is the new DEFRA Sectary heads the same advice. Given that DEFRA spent years looking into this issue it would be foolhardy of any new administration to ignore solid reasoning. If Australia can use vaccinations in their cattle for TB why can’t British Farmers? 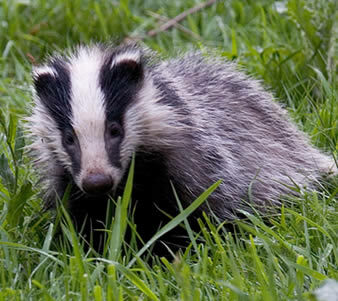 The plight of our Badgers typifies the risk to our wildlife. Under threat from repeal of the hunting ban from hunters and their blood lust, despised by some sections in the farming industry. Seen as mere playthings by Tory MPs while the Lib Dems sit on the fence or proactively agree. To being seen as just something to kill for fun or because its to hard to think of solutions. It’s not just society that will suffer under this Coalition it will be our wildlife in their thousands. Welcome to the old ways of thinking, the champions of ignorance for whatever they claimed before the election there is nothing new in their thinking. Decency took a step back today by allowing an unelected David Cameron to assume office. His party won no mandate and has no legitimacy is saying his manifesto stands. His pledge to repeal the hunting ban was an indication of just how far remov ed he is from decent society. Whatever Cameron may assume he is, he will never fill the shoes of the man he replaced? So where does this leave our wildlife, well it’s not good the balance of numbers in the commons is tight. Yet there are no guarantees that Cameron will even honour a Free Vote, despite his pledge. For if he thinks he would lose his bid for repeal on a Free Vote he will make it a government bill. There is also the option of a Private Members Bill which would amount to the same result. His defence for such underhand tricks would be to say a commitment to repeal was in the manifesto or that he is supporting one of his MPs with legitimate concerns. It’s also more than likely he will hide the repeal among other pieces of legislation. So it will be the case that if you oppose it, you would also be saying no to some sweetener that is added. Other moves could see the timing of the bill come into play. If they time it when they know the least number of MPs opposed to repeal were present. Then again the result would be bad. Labour is short some 49 MPs of the Tories 307. Yet now with the Lib Dems added in it gives them 364. On paper that is a majority of 106. How the Lib Dems vote will decide the outcome. 30 have indicated they would support the ban. Yet that was on the assumption it was a Free Vote. It’s the same with the Tories. 14 said they would support the ban. Yet again if not a Free Vote would they? 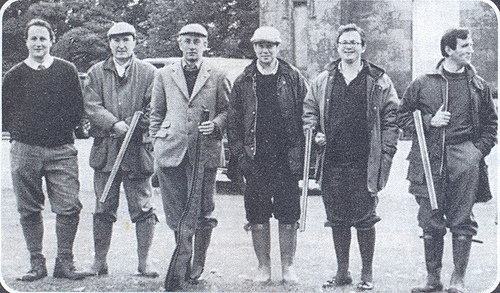 For to have a career in the Tories today you have to be pro hunting. Labour MPs will step up to the plate and they will lead to fight against repeal in the Commons. Of that we have no doubt. Out of all the 258 Labour MPs it is expected only two would vote for repeal. So you can be sure we will be making their names known if that is the case. There is no justification for any Labour MPs to support animal cruelty. The League Against Cruel Sports have come up with some numbers, now we have not had time to look at them in full to see which MPs they refer to. What is clear however is this is no time for thinking Cameron could not achieve his aims? Of the new parliament according to the League Against Cruel Sports. 35 MPs have not declared which way they would go. This will no doubt be a massive battle and there is much lobbying needed. If the figures are correct then it really is tight. Nothing can be taken for granted. The way the public can help is to keep raising it with their MPs and in public. Let others k now that this is not a what if. David Cameron placed repealing the hunting ban in his manifesto and it’s no joke. Put pressure on Nick Clegg, what is his Party’s policy. Will he abide by the will of the people or a stick to a dodgy undemocratic deal with Cameron? It’s not good enough for Clegg not to answer or to spell out his party’s position. We as Support the Hunting Act (BAN) UK and Fox in Parliament will be challenging him to do the right thing. If not then he is as bad as David Cameron. Campaign groups will mobilise but it needs you to help spread the word and get involved. We are looking for new bloggers and people to join us. We always said a man who sees nothing wrong in animals being torn apart for fun is unfit to lead the nation. That is still the case, nothing has changed. We cannot allow the hunting lobby through David Cameron to dictate policy over our wildlife. You have the power; will you let Cameron win? The time is over. The debates and the outcomes are now just a moment waiting for history. In just a few hours the fate of our wildlife, our society and your future will be known. The outcome could be something that we dread or one that gives hope to the values people hold. This election is different; it is the first in many years were nobody knows for sure what the outcome will be. Every vote cast could mean the difference of success or failure. All elections are important yet this one is tinged with fear. Many people imply a fear of the unknown and David Cameron clearly is an unknown, or is he? We all know his background and we know him for the person he presents on TV. Yet what do any of us know of the man who assumes he should be the Prime Minister. Well it’s is easier to look at what is less said about him by a biased media desperate for you not to know. Cameron is a man who is rooted with the aristocracy to the point where his upbringing has been separate to that of most of the nation. He is a man who has been helped into jobs not because of ability but due more to the old School Tie. We know his views of the world were born out of belonging to elitist groups. It would be hard to imagine a more separated view of society for a would be PM then the Bullingdon Club. Reality is that be it for society or for our wildlife David Cameron is not the man for the job. For we know one aspect about him that is known above all others. Cameron is not the decent and caring person he makes out. We are not auditioning for a person to head up Sky News or to be the editor of the Sun. We are looking to elect a person who will lead the nation and speak for the nation. We can think of few worse outcomes then to have a pro blood sport person as the Prime Minister of the UK. It will bring shame to the nation and will have disastrous outcome for our wildlife. This is not a short term prospect he could be in place for 5 years, 10 years….15 years?….For there is no cast iron guarantee he would get just one term. Britain is a great nation and its people are some of the most compassionate in the world. It’s a source of great pride that Britain’s are described as animal lovers. Yet are you really ready for a leap in the unknown? Are you scared? We are and its right to be scared for David Cameron is in place because wildlife killers wanted him there. Just like Shadow DEFRA Tory Minister Nick Herbert, the darling of the kill for fun brigade. Do you know the only reason the Countryside Alliance exists was so they could try to prevent a ban taking place. 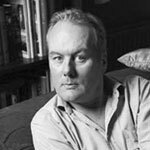 Nick Herbert used to head up the communications for the British Field Sport Society (BFSS) One of the most extreme blood sport groups around. It is now of course called the Countryside Alliance. Yet the hunting lobby is not as far as you as you may think. They have poured millions into trying to buy your vote. If you live in a marginal or a seat targeted by Vote OK, who bus in stack loads of hunters to do the Tory’s election bidding then you will have had contact. You just would not know it. Democracy has taken a back seat in the Conservative party to ensure animal killers have a bigger distorted say. For the Conservatives have a new name today which reflects their party better, the Countryside Alliance Party. Such is the way they are linked you cannot put a piece of paper between them. If the Tories win it will be them who set out rural policy and not the Conservative Party. Tory Lord Ashcroft is also trying to buy your vote. Yet ask yourself why the media has turned a blind eye to Vote OK? The Countryside Alliance action wing, not that they will admit it. Do you really want the election outcome decided by people who smile and laugh when an animal is being torn apart? The vile spectre that is the hunting lobby holds some of the richest people in the land but also those with the least decency. If it was not for their wealth they would be locked up as criminals for such actions against animals. They say money corrupts well so do attitudes and the sickening way the press seek to protect people engaged in election rigging is a disgrace. For our wildlife everything hangs in the balance, if Cameron wins then the ban could be overturned in just 4 weeks…It was thought 5-7 months yet such is Cameron’s desire to deceive the nation he will want to sneak it through before you have a chance to object. For those who think a hung parliament could change that if Nick Clegg linked with the Tories think again. Clegg was never in favour of the hunting ban and that alone is reason to be fearful. 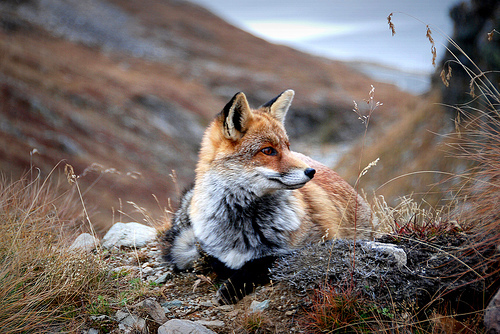 More than half of his parliamentary party voted against the hunting ban being introduced. His party also has a policy like the Tories of wanting to kill tens of thousands of our Badgers.